There are many ways you can help the guild simply by offering some of your time. If you would like to serve on the board or help with the inner workings of the guild contact us at triangleweavers@gmail.com. Coordinates TWG participation in the Elf Market, LocalFest, Fiber Fest, and other exhibitions or festivals. Prepares displays, sampling looms, participant schedules and transportation of materials. Responds to community requests for TWG festival or exhibition participation based on board input. Works with standing committee chairs and other board members. Please email triangleweavers@gmail.com to volunteer and ask questions! 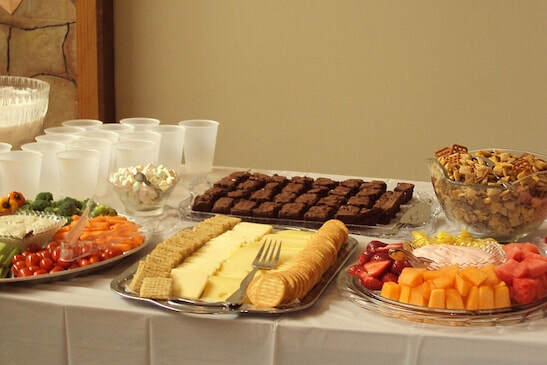 ​We have lots of delicious goodies at our monthly meetings only because our guild members volunteer to bring them! Please email Dornan Trainer if you would be willing to bring refreshments to our monthly meetings: dornan.trainer@gmail.com . She will send you more information about this great opportunity to share with your fellow fabric enthusiasts!